New tutorial today - it's all about mitered borders! 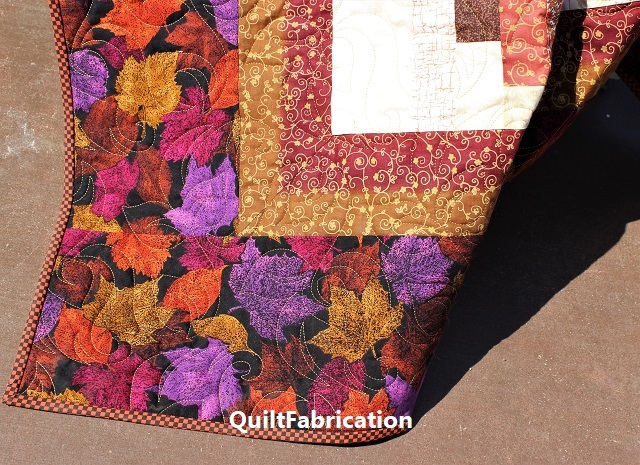 My last quilt, Leaf Piles, used a striped inner border that required mitering in order to look it's best. If I had done the usual strip method (side borders on first, top & bottom borders last), the border corners would not have looked very good with the stripes butting into each other. 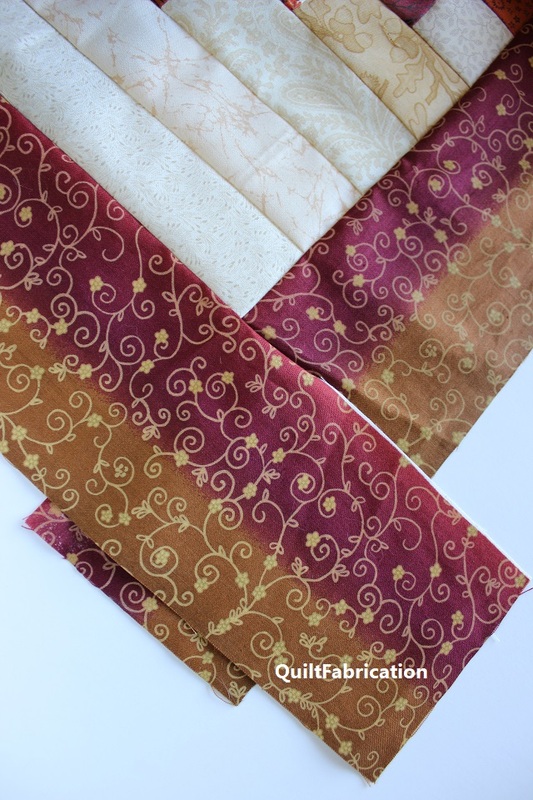 With mitering, the stripes now border the quilt in a ring, one color, and then the next. Mitered borders may look pretty scary, but really, they're pretty easy. Let's walk through the steps. 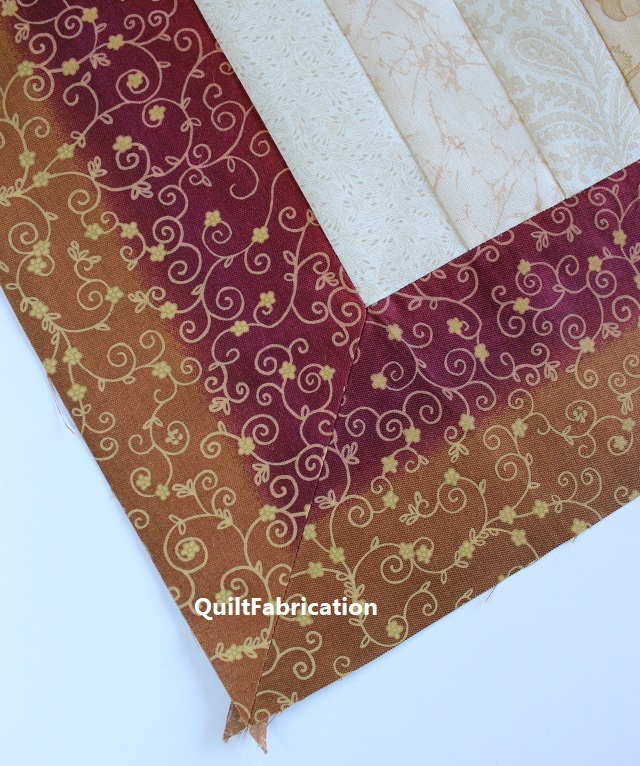 All borders strips are cut to the quilt top side lengths, plus an additional 2x the border width plus 1". The 2x the border width makes sure to cover each adjoining border, and the extra 1" is added insurance. Here's some math: my finished border width is 4". To each strip, I'll add 2 x 4" + 1" = 9", giving the strip extra overlap on the adjoining borders. The above picture has more because that's the original length of the border strip I was working with. 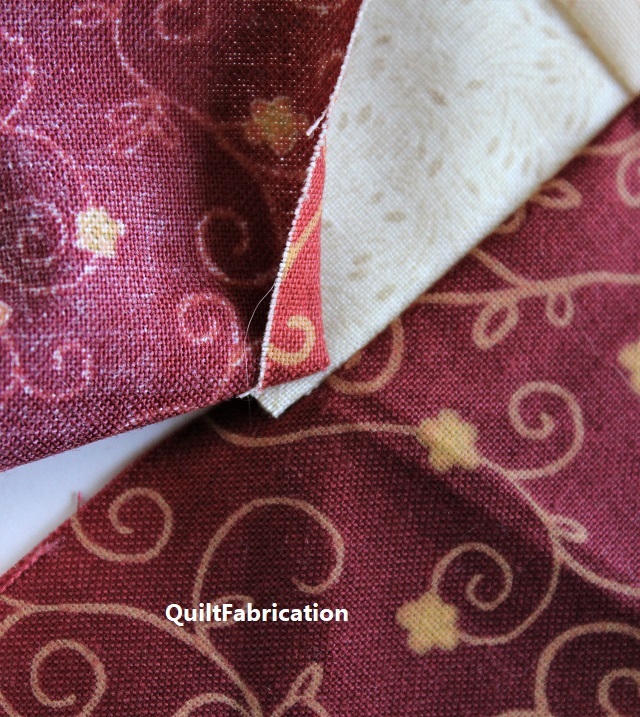 Personally, I'd rather have more fabric to work with than less! Stitch all the borders on, starting and stopping 1/4" from each edge at the quilt top corners. 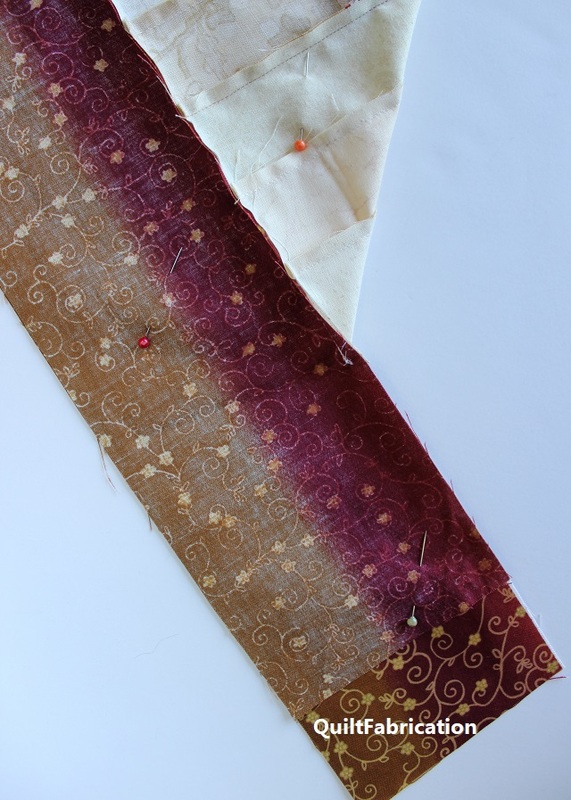 Make a mark 1/4" in on each edge for easy reference, and backstitch to lock in those seams. Otherwise, those stitches have a pesky habit of coming out. Don't pile up the stitches in the corner, or leave a big space - it should be close but not too tight. 3. Marking a 45 Degree Angle. 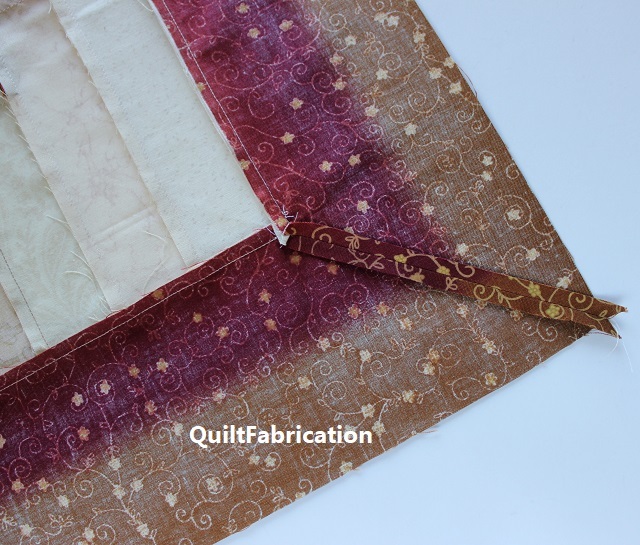 Holding the corner in on hand, fold the quilt top on a 45 degree angle from that corner. Line up the border seams and border edge, pinning everything in place. 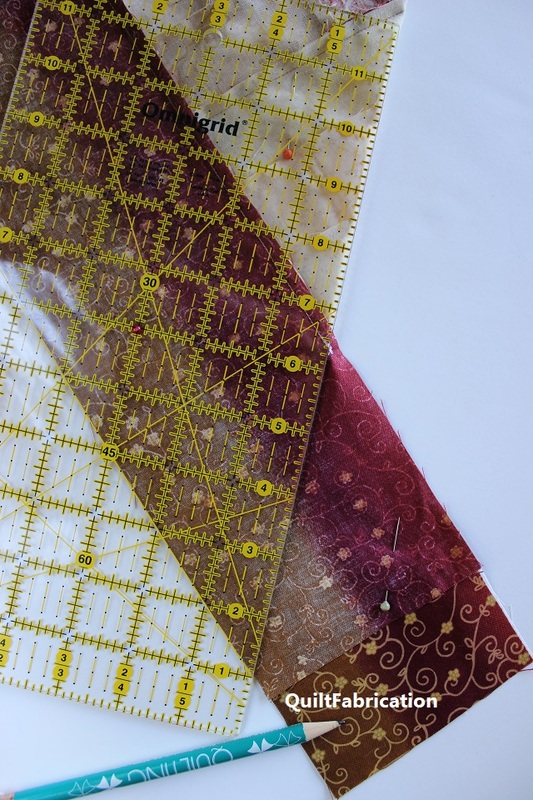 Using a straight ruler with a 45 degree mark on it, line up that mark on the border edge with the ruler edge on the 45 degree fold of the quilt top. On the borders, mark a line along the ruler edge, from the seams in the corner to the edge of the borders. 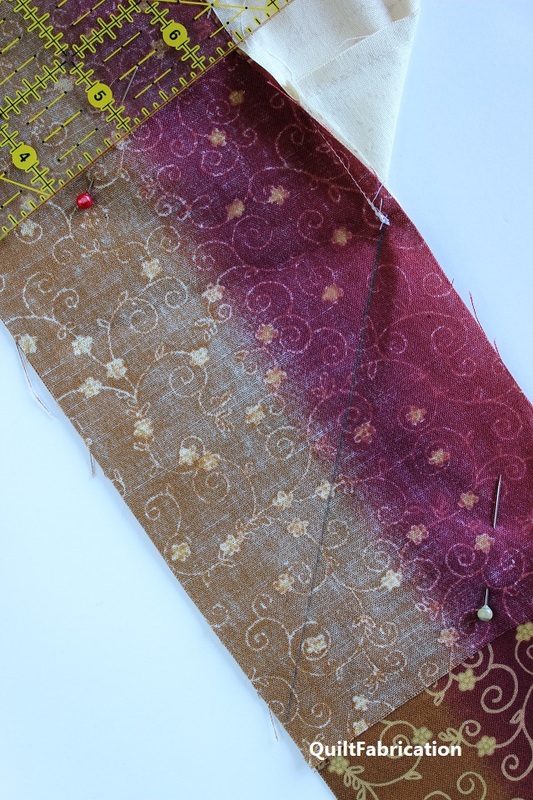 Starting at the seam end of the corner, stitch along the line to the border edge. 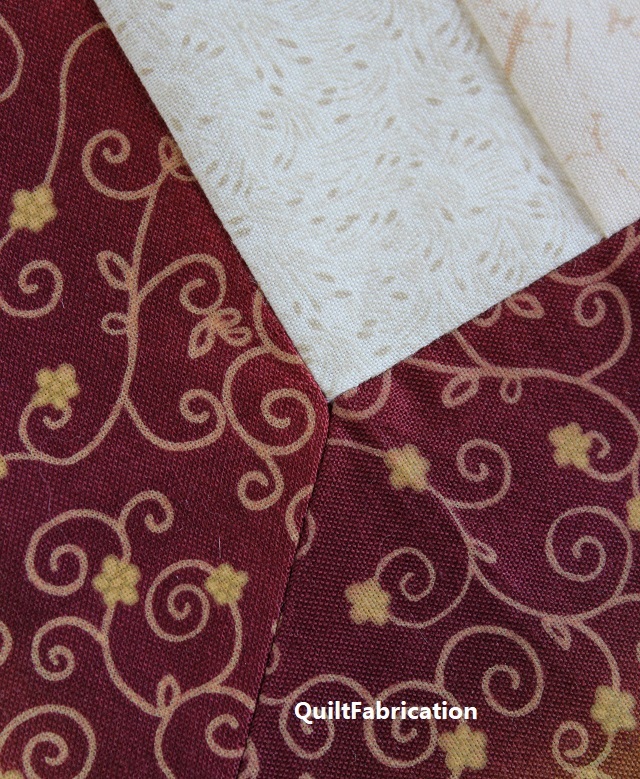 Unpin and open up the quilt top to check the miter. 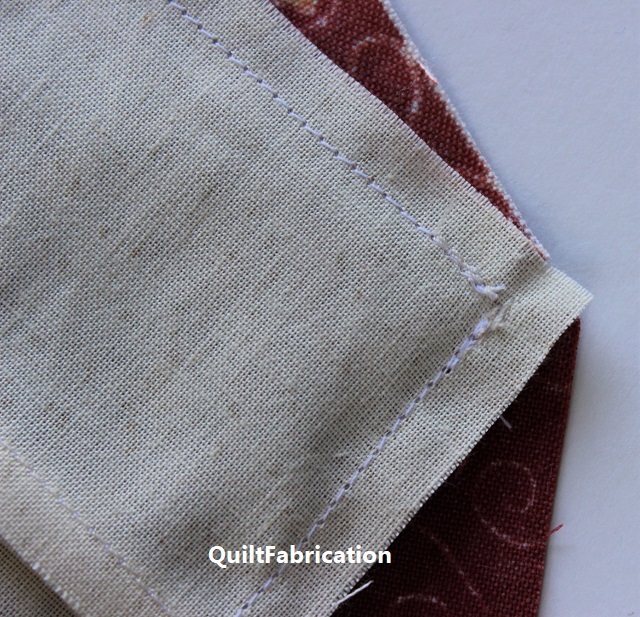 The corner where the three seams meet should lie flat, with no tucks and no gaps. The borders should also be square. If there are issues, un-stitch, and repeat the process. I've found that overlapping stitching in the corner causes puckers. Leaving just a half stitch gap appears to allow the corner seams to have space to relax. And out of square borders can be caused by stitching at an angle that is not 45 degrees. When the corner is perfect (or at a point that you're happy with it! 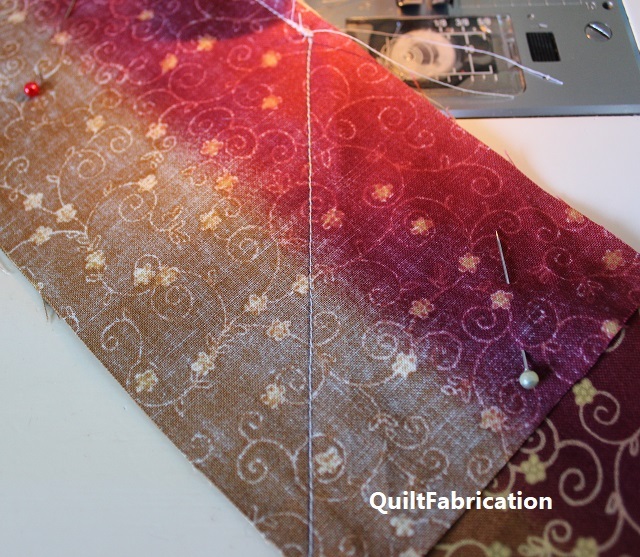 ), refold the top to reveal that 45 degree stitching and trim the seam (the extra border length) to 1/4". Press open to decrease the bulk of fabric at the seam corner. 7. Stand back and admire a beautiful mitered corner! Ready to give it a try, now that you know how easy it is? Hope so! Great tutorial, Susan. The photos really show the process beautifully. 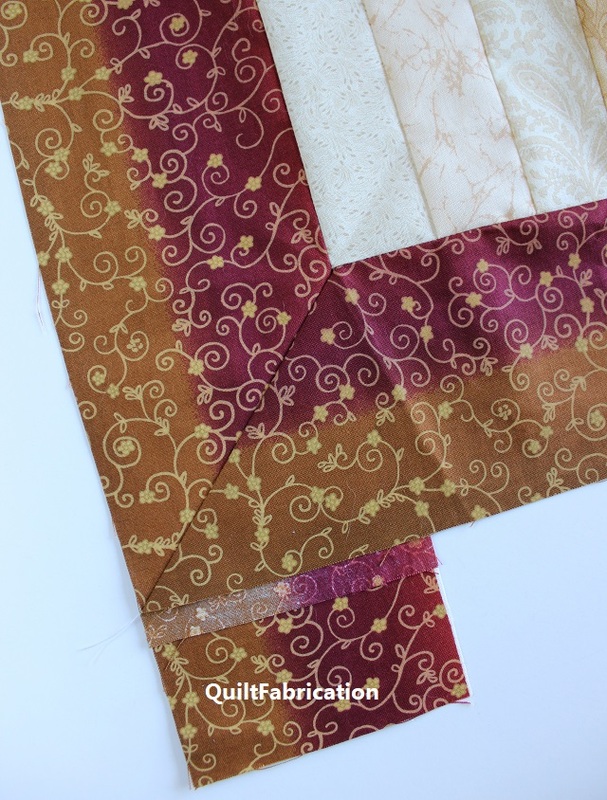 Great tutorial and nice miter!!! Thank you Susan. This was really timely. 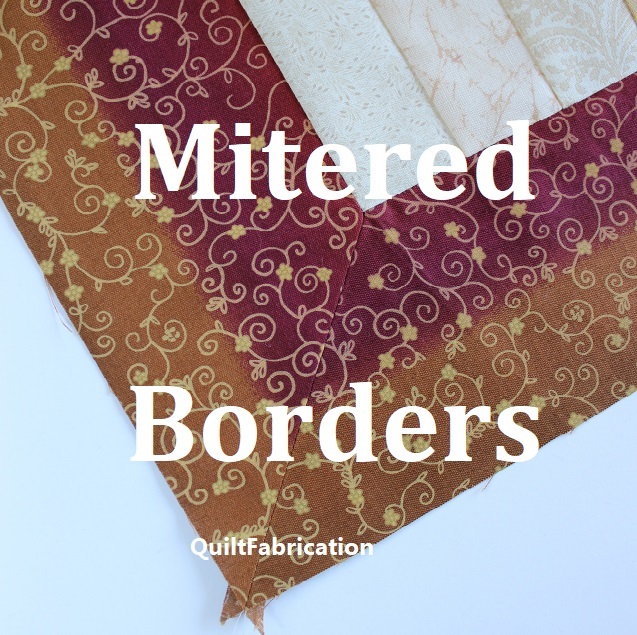 I am about to make a mitered border on a quilt for the first time in years! This sounds like a really doable way of approaching it! Thanks for the great tutorial, Susan! I've not tried a mitered border YET, but this give me hope! LOL I think I can do this!